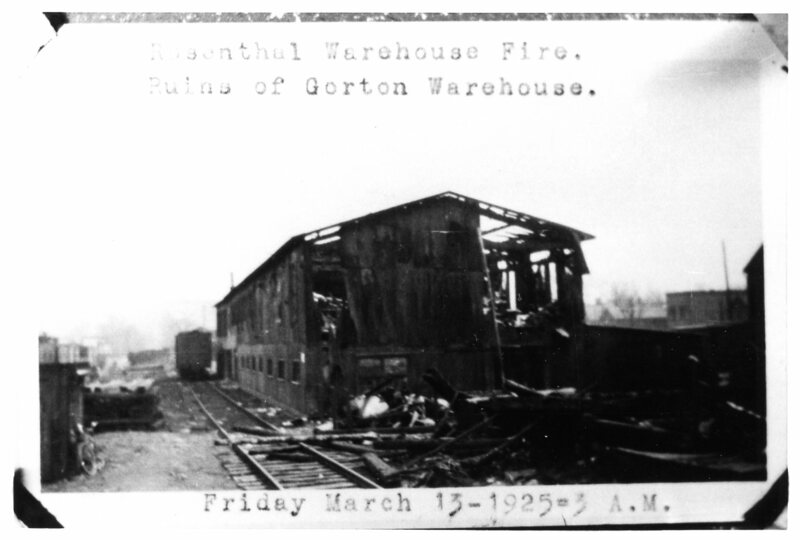 Our first photo for this week is of the old Gorton Warehouse after the fire that destroyed the building in March of 1925. Evidently, the warehouse was located near the railroad tracks in the City of Corning as you can see railroad cars in teh background. 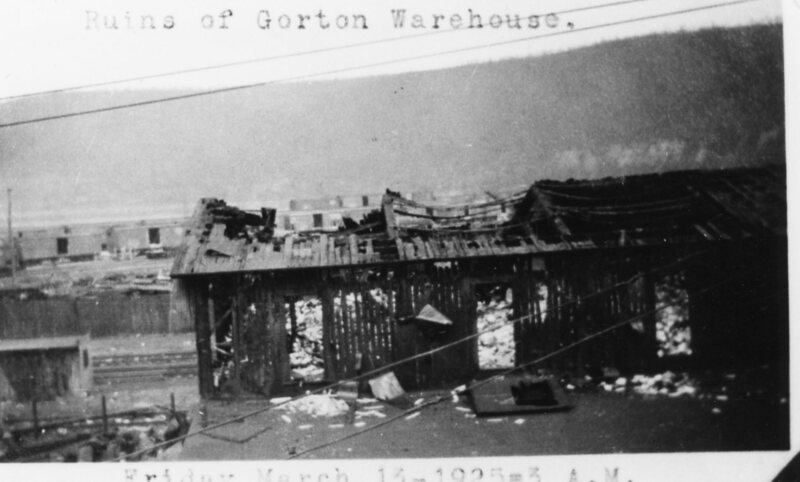 And a second photo of the burned Gorton Warehouse after the fire of March 13, 1925.